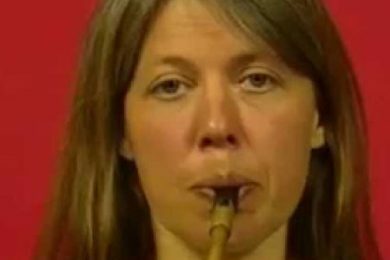 Gwenn Frin is a flute and tin whistle player. Originally from Brittany, France, Gwenn fell in love with the Irish wooden flute at an early age and the flute has forever since been the thread of her life bringing her to many countries and adventures all over the world. She first performed with the ‘Cercle Celtique de Rennes’ where she was introduced to the traditional dances of Brittany before playing for the dancers themselves. Her true professional debut was with the band Beaj Iskis in the early 1990s, which toured the ‘Fest Noz’ scene in Brittany for four years. Gwenn moved to Galway, Ireland in 1998 drawn to the roots of her passion. 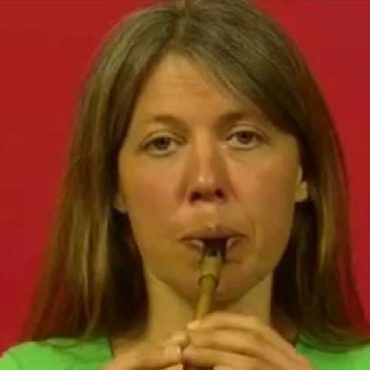 She lived from busking for a few months before moving to Dublin to concentrate solely on her flute playing while doing a Diploma in Traditional Music Performance directed by flute player Paul McGrattan. This last experience led her to doing a Masters in Music and Media Technologies in Trinity College, Dublin. These amazing two years transformed her musical understanding and experience and opened up her musical horizon to contemporary and electroacoustic music and to composition. Gwenn now lives in the West of Ireland by the Cliffs of Moher. During the economic boom years, she was fronting the band Dejimbe, led a weekly traditional session with guitarist Rob Steine in Kinvara, Co. Galway. She also spent a winter in India studying Bansuri flute with Ravi Shankar Mishra. Over the last 5 years, she has taken her passion for the flute to another dimension, learning the art of flute making under the guidance of renowned flute maker Martin Doyle. She is now a freelance musician, tourguide, fitness coach, apprentice flute-maker and loves good living.